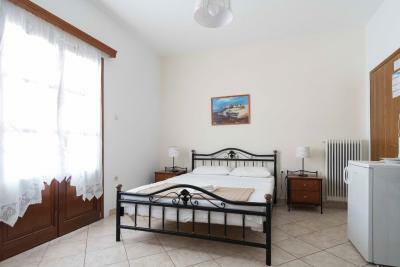 Lock in a great price for To Kima – rated 8.7 by recent guests! 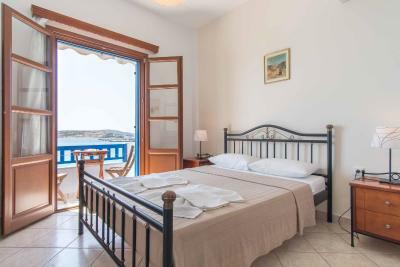 I liked the spacious room, the comfortable bed, the spacious bathroom, and the amazing view of the nearby beach (however, other rooms might not have the same view). The staff was also very helpful and friendly. Location! Nice seaside balcony with beautiful view. Very rustic but quaint. Very sweet host who collected us from the Port and on departure gave us a drink and some cake. Room sea view was beautiful. Little balcony was very useful too. Very good location, right in front of the beach. Fantastic sea view and in a great spot. We were over the cafe bar. It it wasn’t yet opened for the season. May bother some but wouldn’t have bothered us. The room including bathroom and toilet was very clean. We had a realy nice view above the sea from the balkony. The owner is very friendly and helpful. He brought us a cake from his wife when we arrived. We would come back any time. 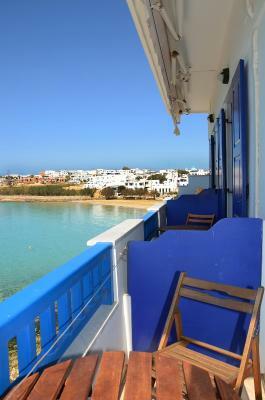 Superb view to the port, you could almost jump into the sea from your bed. Very clean rooms, very friendly people. Very friendly staff/owners. Beautiful area. Great view from the balcony. The view from the balcony is AMAZING!!! It feels like you are on top of the water in the middle of a gorgeous painting. A pleasure to sit there at all hours!!! Clean room. Comfortable bed. Great location. 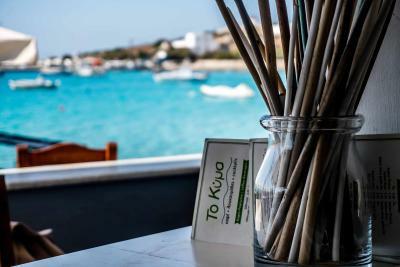 To Kima is located right on Ammos Beach and within 500 feet of the port in Koufonisi Island. 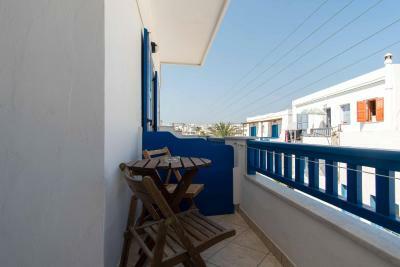 It features a sun terrace and offers rooms that open to a furnished balcony. Free Wi-Fi is available in public areas. 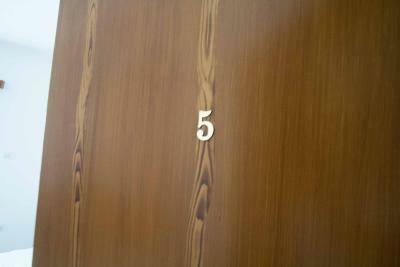 The air-conditioned rooms come with a TV and safety deposit box. 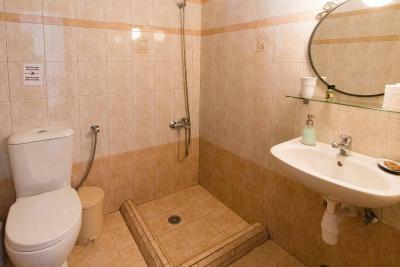 They also have a fridge, and a private bathroom with a shower. 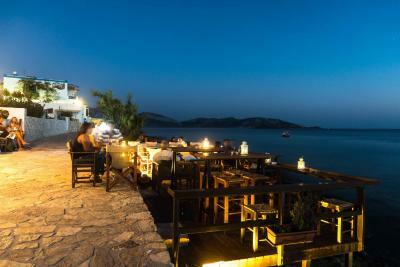 Some enjoy village or Aegean Sea views. 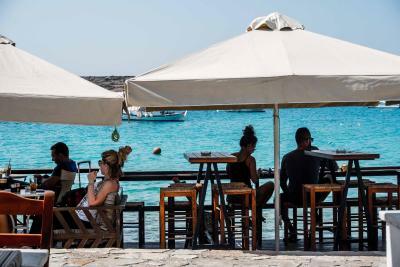 Guests can enjoy light meals and drinks at the property’s snack bar, located on the beach. 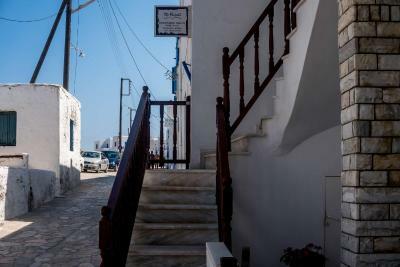 The center of the village with various cafés, taverns and minimarkets is 350 feet away. The owners can help with bike rentals. Free shuttle service from the port is available. 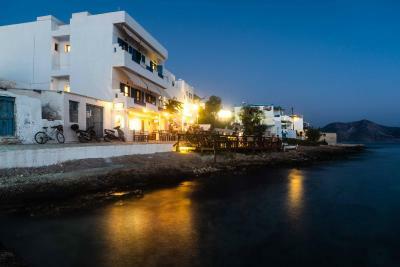 뀐 Located in the top-rated area in Koufonisia, this property has an excellent location score of 9.5! When would you like to stay at To Kima? 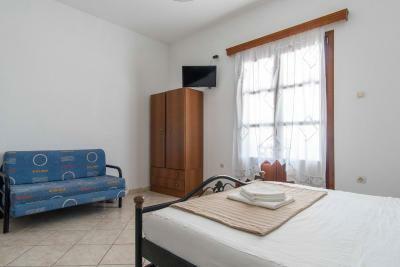 This air-conditioned room opens to a furnished balcony and features a TV, fridge and a private bathroom with a shower. 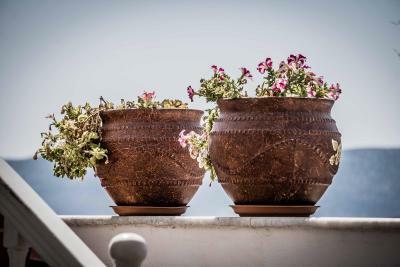 Some enjoy village or Aegean Sea views. 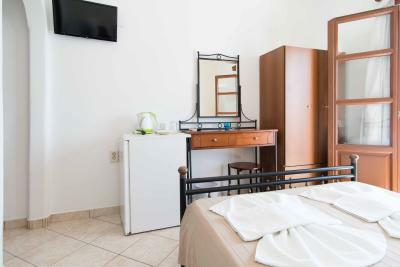 This air-conditioned room opens to a furnished balcony overlooking the village, and features a TV, fridge and a private bathroom with a shower. Please note that this room type does not have a sea view. House Rules To Kima takes special requests – add in the next step! Please note that payment is done in cash at the hotel. Should have visited in September. Not much open in mid October. Would be good if the bathroom had a shower curtain to prevent water all over the bathroom. I did not like that only cash was accepted as payment. Staff were not very friendly. No communication from them at all during my three day stay. Not an actual criticism ... but on Booking it mentions transfer from port available. When we enquired we were told they didn’t offer this. 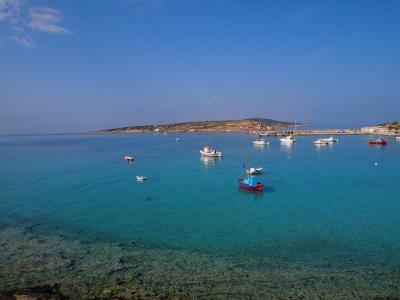 As it was, very easy to find from the port -although the ‘road’ does run across the beach. This may affect someone’s decision to stay. Hopefully not. - Our bed was comfortable but very creaky, every time you turn around in the night. Otherwise nothing negativ to say. Sand in the hotel, would like to have some doormat before entering the property. 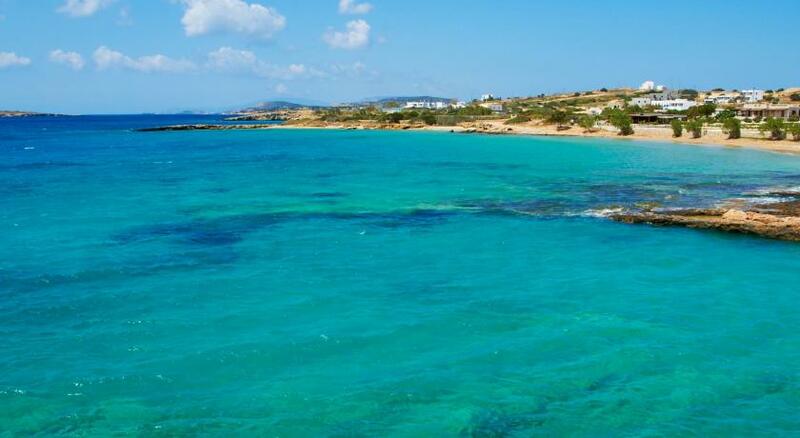 And as usual I guess in Greece a shower curtain would be nice to have. Balcony very small and no privacy. The room was a bit small. The balcony too. The shower enclosure idem. The room has an amazing view and its only 1 minute from the amazing beach. The owner was very friendly and always there when we needed him. The cleaning lady, Mrs. Jenny , kept our room everyday very clean. In general , we are more than happy to stay in this Hotel and we will go back . Paying in cash was inconvenient and we were kept waiting half an hour for our change. We would have liked to be given a map. Prices were slightly higher than we were paying for similar elsewhere. 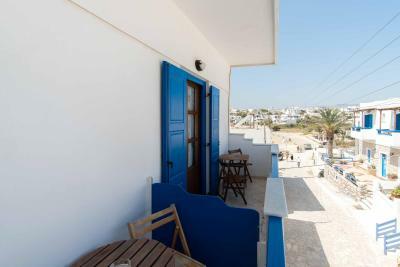 Clean, comfortable room with balcony and delightful sea view. Appreciated having a kettle and small safe. 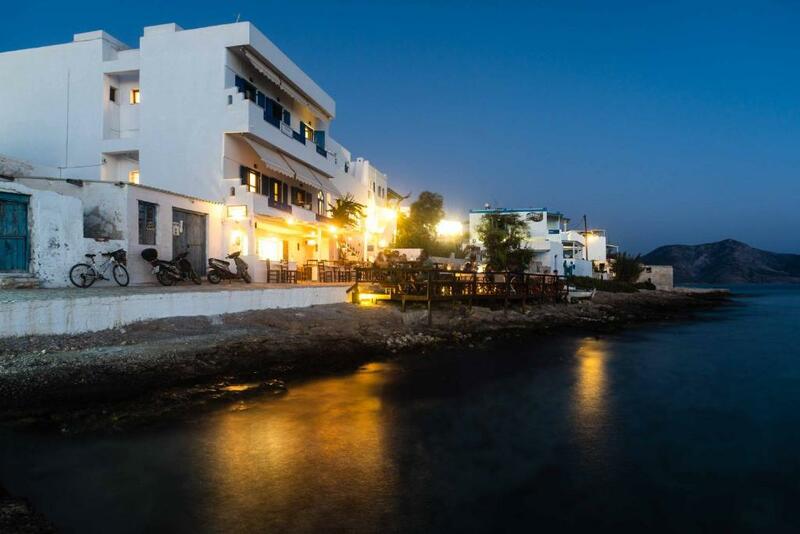 Close to beach and town centre.